I participated in an Ambassador program on behalf of Mom Central for Kohl’s. I received promotional items and product samples as a “thank you” for my participation. Yippee summer has finally arrived which means its time for shorts and tank tops, going to the beach, barbecues and summer movies. Speaking of movies and clothes Disney’s new kids movie “Planes: Fire and Rescue” is coming out soon (on July 18th 2014). And once again Jumping Beans has created an exclusive line of kid’s clothes for Disney that is available for sale at Kohl’s Department Stores. At Kohl’s you can find clothes with your kids favorite characters from the “Planes: Fire and Rescue” movie. Your kids are going to love the wide assortment of t-shirts, shorts, hoodies, and more that can be found only at Kohl’s. In my previous post I told you about the New Disney Jumping Beans collection called “Americana”, which features Minnie and Mickey mouses and was designed in the red, white and blue themes, which is perfect for national holidays. Today I’m going to share the new “Planes: Fire and Rescue” summer collection that hit Kohl’s stores this June and is in stores now! The “Planes: Fire and Rescue” Jumping Beans collections is available in sizes 4-7 years. Although my son is 11, we enjoyed checking it out wit my daughter. The collection is everything your son would want. There are terry pants, comfortable shorts and sports shorts, and bright colored tees and long sleeve tees. I love the overall look of the collection. The shorts and tee combination is perfect for a messy day at the playground, while those terry pants are perfect lounge apparel. 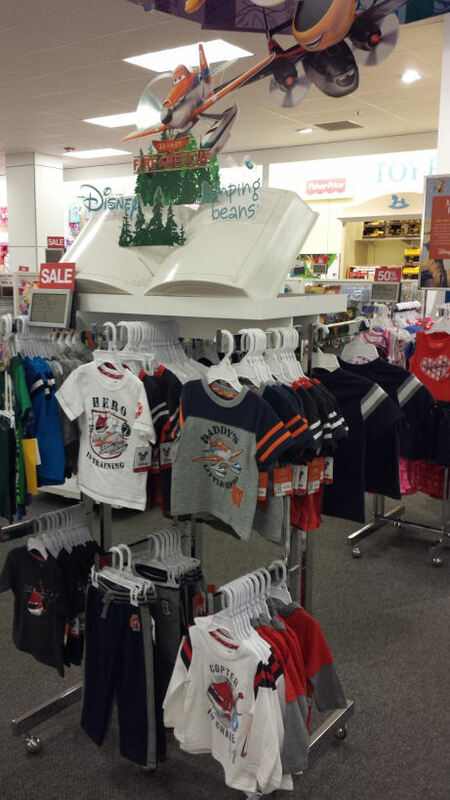 The Disney apparel by Jumping Beans Planes collection offers a great selection the little boys in your life. See more of the collection at Kohl’s and let me know what you think? To the park for afternoon activities or play date with a friend, where do you envision little ones wearing this collection? Now let’s go to the even funner part – Since Kohl’s is sponsoring this post, they are also providing a $100 Kohl’s Gift card to 1 very lucky I Love My Kids Blog reader! Who’s excited? This giveaway ends at 11:59 PM EST on June 26, 2014. Only 1 (One) Mandatory Entry: Sign up for my blog via email and confirm your subscription! Leave a comment telling me what do you think about the new Kohl’s Disney Jumping Beans collection? There will be few other Optional bonus entries. Good luck! My kids love the new line! I love the Jelly Bean styles, I buy them for my 2 grandchildren! All the new Mickey Mouse is so cute beside that I would also by clothes for my first son…due in August. LOVE the new clothing line!! I would purchase kitchen items. 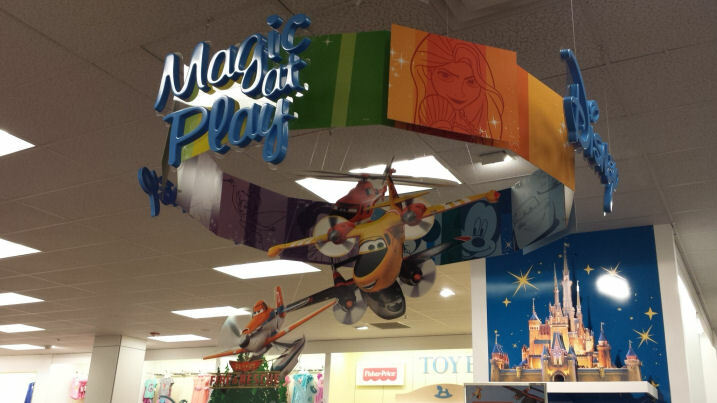 Visited the site and I think I would purchase Disney Planes Dusty “Daddy’s Little Hero” Tee by Jumping Beans® – Toddler and Disney Planes Blade Ranger “Copter In Charge” Tee by Jumping Beans® – Toddler. This looks like a great collection. I really would like to get some new bath towels if I win. New summer clothes for the kiddos! I love the new Jumping Beans line. They are cute and stylish. My son would have to have some of the new Planes gear. He absolutely cannot wait for the movie to come out next month. Baby on the way could definitely use a few things that aren’t hand-me-downs as well. I love the style of the shirts, love the stripes on the sleeves. Plus it has planes on the front of the shirt. My little guy loves planes! I love that this new line has my grandson’s favorite characters from Planes! I really like the shirts with the stripes on the sleeves. Very cute line! 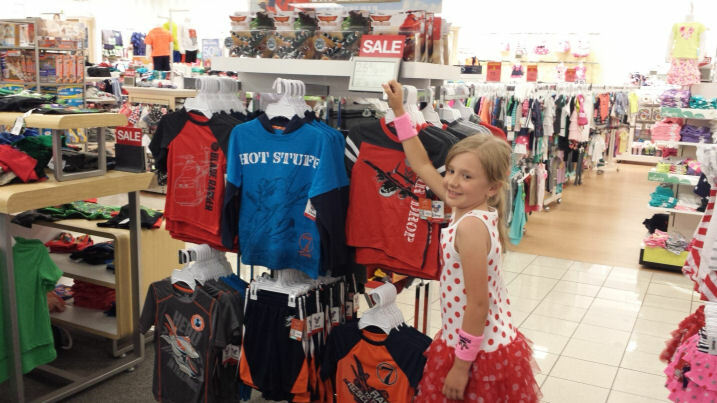 Cute kids clothes…..always buying for my grandkids! I love the Courage Under Fire Tshirt! I like the whole line for my 7 year old grandson. We both love Disney. I like the Disney Planes “Fire Rescue” Fleece Hoodie by Jumping Beans® – Baby. It’s so cute. I Love That Jumping Beans Is Durable, Quality Clothing. I Love The Fun Designs, Especially The Disney Line! I love Kohl’s new line of Mickey & Minnie Mouse clothing for kids. I would love to buy some clothes for my growing little nephews! With 4 kids, we buy a lot if jumping beans clothing. I love that they can be mixed and matched! I love the Jumping Beans collection especially because it so cute and affordable. I would buy some shorts if I won. I would use it to buy myself a new pair of sneakers so I can start my walking to lose weight I have gained after I quit smoking. Thanks for this chance to win! Love Kohl’s! I think the clothes are so fun , and adorable. My son would love the Disney Planes Blade Ranger “Piston Peak Fire Dept.” Tee by Jumping Beans! OH I really love the new Disney collection! I am so glad they came out with the Planes clothes! So cute! I can see Carter wearing those! So cute! I love the new Jumping Beans collection. I have 5 grandsons. They really would like the planes themed items. I like the color scheme, especially the red and blue. And we are expecting another grandson in August, so I took a look at the baby items. I found several things there I would like to buy, too, especially the Mickey Mouse shirts. I love they’re original designs. I also love to get the disney pajamas for my kids. I may buy some towels , or clothes. Have and 2 and 5 year old grandsons who are crazy about planes.. can’t wait to get new outfits. I think the new Disney items add even more cute to Kohl’s clothing selections. The Disney clothes are so cute, wish they came in bigger sizes. Would love to pick up some new tops for the summer. The Disney clothes are so cute, wish they came in bigger sizes. I would love to pick up some new tops for the summer. The Disney clothes are so cute, wish they came in bigger sizes. I would love to pick up some new tops for the summer. Kohl always had great tops! what a GREAT prize! 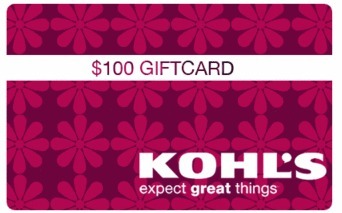 i could buy a lot with $100 at Kohls! What is not to like about the Jumping Beans clothes? They have pretty and glittery things for the girls, and what boy would NOT like “planes” shirts?? I know the boys here would love them. My grandchildren love clothing with their favorite characters on them. I love jumping beans. I bought my little girl her winter wardrobe there last year and everything is so cute. I love the quality of the Jumping beans Collection. My daughters need summer pajamas. My son loves Planes and they’re adding fire trucks to it? Little boy heaven! I love that they’re collaborating with Kohl’s so that we can afford more than one shirt for our little man. Kohl’s is one of my favorite places to shop. I love the Disney Planes Blade Ranger “Copter In Charge” Tee by Jumping Beans® – Toddler! My favorite item is the Disney Planes Blade Ranger “Piston Peak Fire Dept.” Tee by Jumping Beans® – Toddler. Jumping beans line has always been my favorite. New store opening in our town this fall, might be dangerous for my wallet! If I won, I would like to buy a new coffee pot. I love the new Disney collection and I would most likely use the gift card to buy some for my granddaughter. I’d probably get some non maternity tops now that I’m done having my last baby! Athletic shoes and sandals is what I would purchase from Kohl’s. I don’t have young kids anymore, but I do love Kohls. My husband wanted a certain name brand watch that I couldn’t find anywhere. We found it at Kohls. Kohls has spiffy women’s clothes too. I am actually in need of some new t-shirts and shorts so that is definitely what I would be buying! id love the little planes shirts. My son doesn’t have any and loves planes. That’s what id be getting. I love Kohl’s. If I win, I would like to purchase some new bedding. I love the Jumping Beans collection. And my great granddaughter will look so cute in the Disney Minnie Mouse Polka-Dot Tutu Dress – on sale for $15.00. I really like the Disney Planes Dusty “Daddy’s Little Hero” Tee and Disney Planes Dusty Shorts! They’re so cute! I love the new collection. My daughter would get so excited with it ! Too cute! These are really cute and would be perfect for my great nephew. as cute as all that clothing is, we really need new bed linens! My kids have lots of Jumping Beans items, especially since Kohl’s is just a couple of blocks away. But… I would finally get something for myself, some new work clothes I think. Leave a comment below telling me what do you think or like about the new Kohl’s Disney Jumping Beans collection? If I won I would buy a roaster and a slow cooker..
Kohls has great clothes. Hope I win the card. My wardrobe could use some new items in it to wear. What a cute line of clothes. My little grandson would love wearing them. I would buy an assortment of items from Plane toys to clothes for my granddaughter! They have a nice selection of kids clothes…I would buy them clothes..He’ll be starting Kindergarten this year…He needs to look good! I have 2 young children and they would love to get something like the jumping bean toys and clothes. My granddaughter is too little for this line of clothes but Kohl’s has nice infant clothes, too. I would use the card to add to her summer wardrobe. Also, I joined your email list. Looks like a great line! My son is too big for it now, but will have to pass it on for my Godson’s parents! Id purchase the hearts and stripes red, white and blue minnie mouse dress or the Minnie polka dot red tutu dress. I really like the Disney Planes Dusty “Courage Under Fire” by Jumping Beans®. I love the Disney Minnie Mouse Polka-Dot Tank by Jumping Beans. The whole vollection is very cute. I love the characters on the new collection. I have boys and it can be tough finding cute things for them to wear. I would love to get my daughter a Bonnie Jean and a Blueberi dress from Kohl’s, they have such beautiful dresses! My kids love the style and wish we could incorporate it into our lives. I really like the new collection and will be picking up some pieces on my next Kohl’s trip. I love everything Disney and these are really cute. I would get new clothes for my son. I like the jumping beans collection, it is cute and quality clothing at a low price. I would buy my kids back to school clothes if I won. I would buy some cardigans! I like the disney jumping beans collection, looks like good quality for the price. My boys are into Planes so they will love this line of clothing! I would really like to buy some shorts, I’m tired of wearing my husband’s drawstring gym shorts. I think the collection is super cute and I think it will go over well with little ones since the apparel features cool characters. Thanks. I would love to buy my son a few of these outfits! I love all the new pieces and will be shopping for them. I would actually buy some cookware and kitchen appliances with the gift card, as well as the latest Kohls Care for Kids books and stuffed animals. The outfits look adorable and they are affordable too! I like all the things they have from disney. I hope I win!!! I am a Disney fan. The Kohls Jumping Beans Disney collection is fun. My kids are into picking out their own outfits these days. I am sure this would make them very happy! I fell in love with the Hero in training t-shirt. I also would grab some of their Apt. 9 Women’s pajamas – the most comfy pajamas ever! I love the new clothes. My nephew will look great in these; I’m planning to buy some for his birthday. I like that the clothing line is kid oriented and fun so they can enjoy wearing it. I like the styles and quality of the line. I like the new line. The clothes look wonderful for play wear. i like the retro colours. I love the Disney Planes Blade Ranger “Piston Peak Fire Dept.” Tee by Jumping Beans® – Toddler..it would be perfect for kiddo. I know my daughter would like the Disney collection. She’s very fond of a lot if the Disney characters. Kohl’s is one of my favorite places to buy clothing for my daughter. They always have a huge selection at a great price. i would probably hit the kitchen ware department. they have everything and i can always find things that will make my life easier. My son is 13, the card will keep him in shoes this year. I would like to buy a new pair of athletic shoes, thanks! We have been buying Disney clothes for years, so cute. I would love to win this, It would truly come in handy! I love the New Jumping Beans Collection. Kohl’s Disney Jumping Beans collection is very cute, my grandsons will love them. I would spend some of the giftcard on my grandsons, and buy something new for me too! I would choose to get me some new summer clothes since my kids are 8 their 20’s. I love Kohl ‘ s.
I would choose to get me some new summer clothes since my kids are in their 20’s. I love Kohl ‘ s.
My boys love Disney Planes so fire and rescue would be awesome! I also love Kohls prices! Love the collection it is adorable and my son would loo so nice in it!